Wedding bells are ringing—and a widowed mother of two hopes the occasion will reunite her daughters in this captivating novel from the New York Times bestselling author of The Island House and Secrets in Summer. As the summer progresses, it is anything but smooth sailing. Felicity stumbles upon a terrible secret that could shatter her carefully cultivated world. Jane finds herself under the spell of her soon-to-be stepbrother, Ethan, who is as charming as he is mysterious. And even Alison is surprised (and slightly alarmed) by her new blended family. Revelations, intrigue, resentments—as the Big Day approaches, will the promise of bliss be a bust? 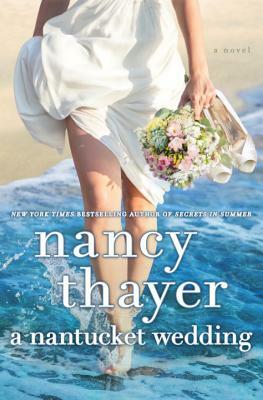 Nancy Thayer is the New York Times bestselling author of A Nantucket Wedding, Secrets in Summer, The Island House, The Guest Cottage, An Island Christmas, Nantucket Sisters, A Nantucket Christmas, Island Girls, Summer Breeze, Heat Wave, Beachcombers, Summer House, Moon Shell Beach, and The Hot Flash Club. She lives on Nantucket.